Hispanic Heritage Month is about celebrating the history and culture of Hispanic and Latino Americans. For the past couple of years we have been celebrating it at little one’s school and community. If your school and/or community doesn’t celebrate Hispanic Heritage Month why not bring it to them? 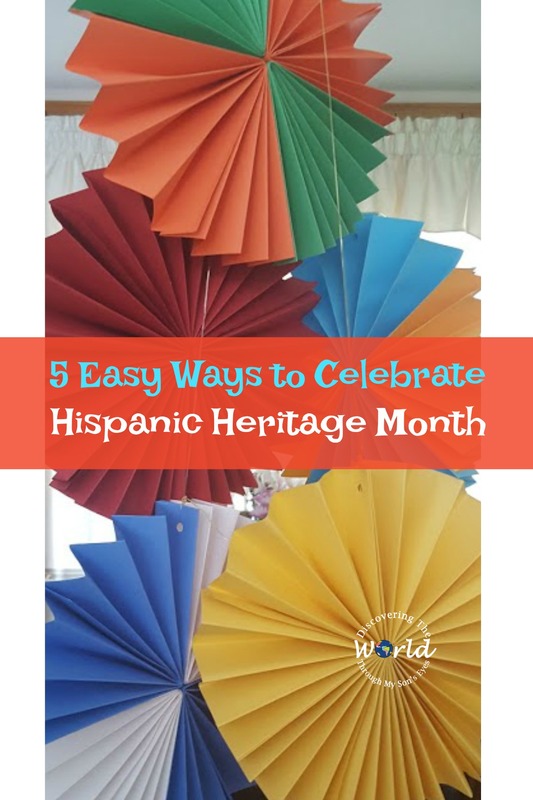 Celebrating Hispanic Heritage Month will teach the children about cultural awareness and diversity. 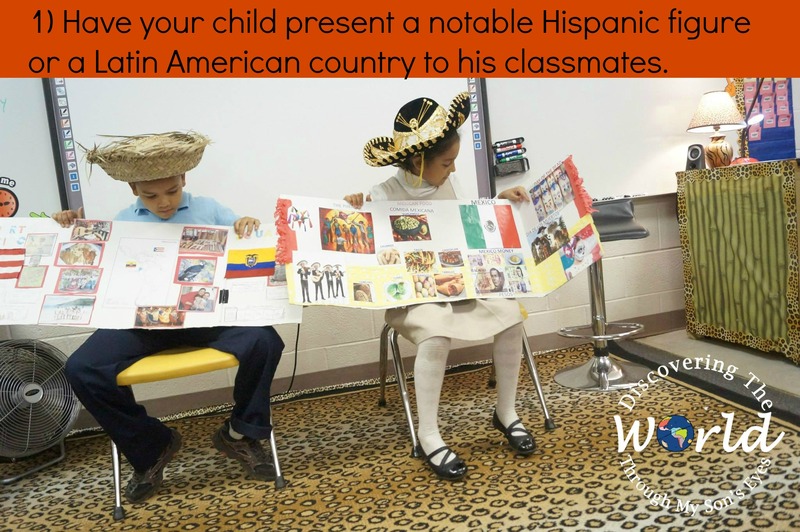 1) Have your child present a notable Hispanic figure or a Latin American country to his classmates. You can you use a white poster board or if you want to go fancier you can help your child with a PowerPoint presentation. You can get some ideas on presenting to your school or community library here. 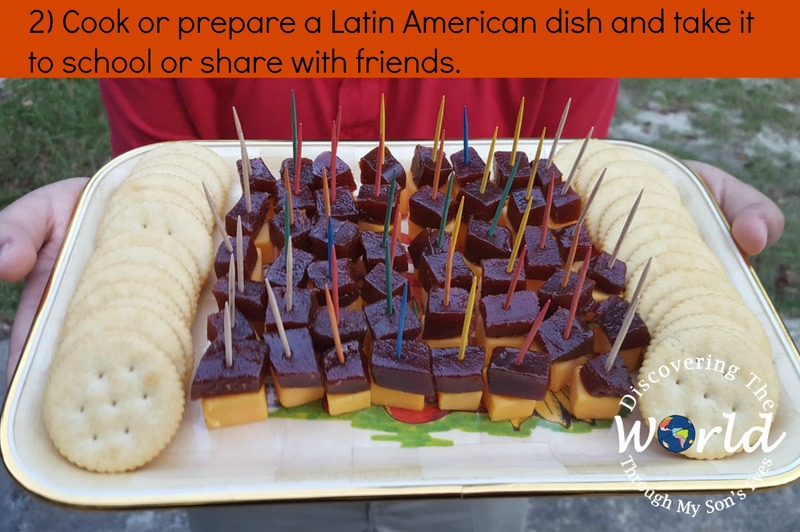 2) Cook or prepare a Latin American dish and take it to school or share with friends. Little one served guava with cheese and crackers a popular appetizer in Puerto Rico. 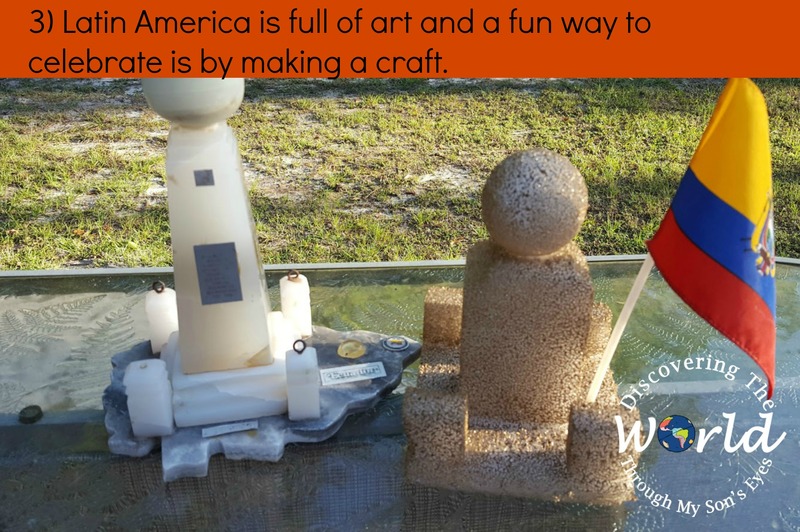 3) Latin America is full of art and a fun way to celebrate is by making a craft. You’ll find a craft from each country in this list. 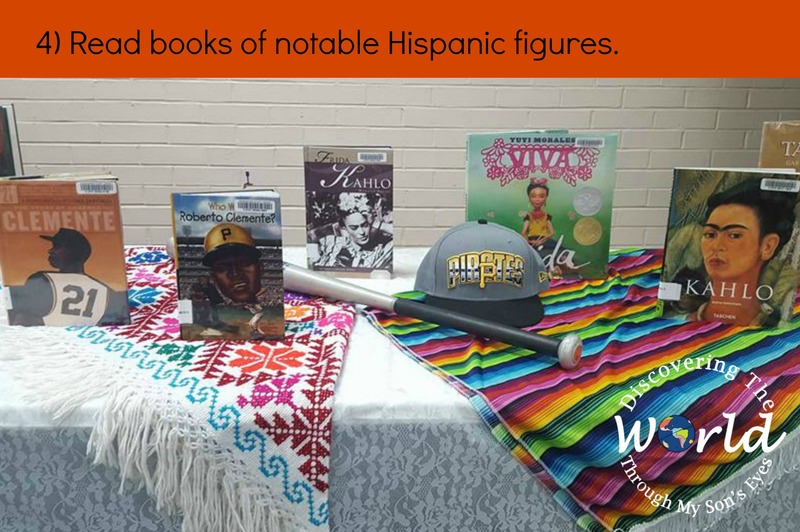 4) Read books of notable Hispanic figures. If you have little ones you can read picture books to celebrate Hispanic Heritage Month. 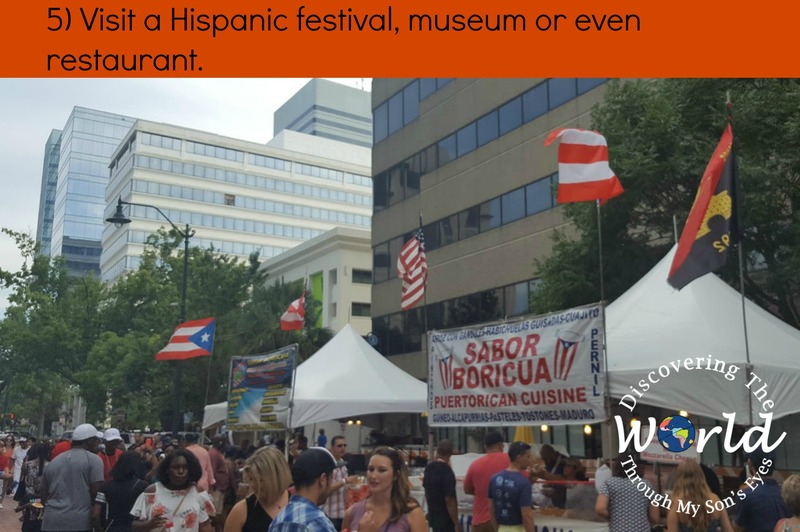 5) Visit a Hispanic festival, museum or even restaurant. Lastly, we celebrate and lead by example. Teaching my son to be proud of his Hispanic heritage goes beyond the four walls in our home. Our daughter, a Puerto Rican-Spanish-Norwegian-Scot, was born and raised in upper New York State where blending in far more compelling than claiming her Latina heritage. She chose to attend college and now grad school in S Florida, where she has blossomed into the Spanish-speaking, Hispanic-indentifying young woman we are so proud of! You have done an amazing job raising your daughter! Thanks for sharing your story!